During his hectic career in finance, Shimmy Mehta found it difficult to follow his philanthropic passions and recognized the need for a simple and meaningful way for busy professionals to give back to the community. This led Shimmy to launch Angelwish.org, a digital nonprofit that provides an accessible way to grant wishes to millions of children who suffer from chronic illnesses. Today he takes us behind the scenes of his incredible charity, and discusses the global importance of paying it forward. The incredible mission that sets Angelwish apart from other charities. How to brand and market your nonprofit organization. How to contribute to Angelwish. 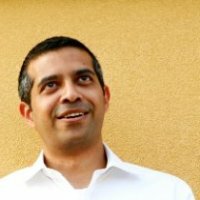 In 1999, Shimmy Mehta identified a lack of convenient and meaningful opportunities for busy professionals to give back to the community. His research with various hospitals and his own philanthropic passions led him to found Angelwish – a web based nonprofit empowering individuals to grant inexpensive, high impact wishes to children living with HIV/AIDS.